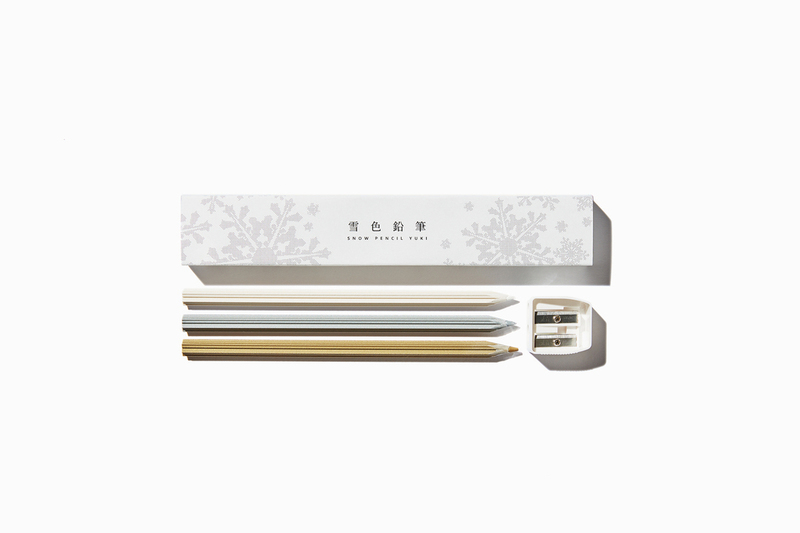 Snow Pencils, with their unique snowflake shape in three gleaming colors, call to mind a soft winter snowfall. 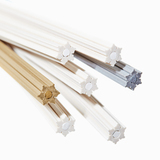 The pencil body is made of an environmentally conscious material produced mainly from recycled paper. 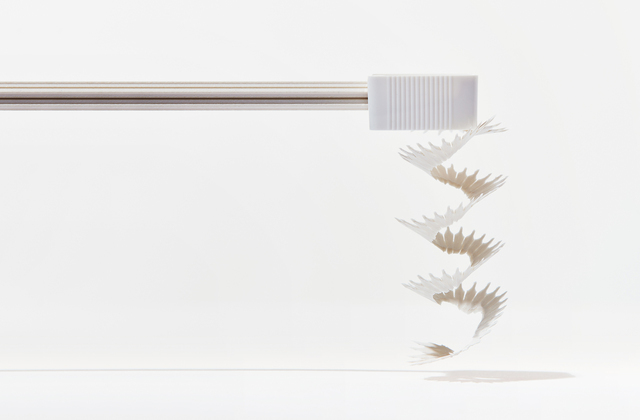 As you sharpen a Snow Pencil -- engineered for easy sharpening -- the shavings twirl down in snowflake-shaped spirals -- which are fully recyclable as paper waste. 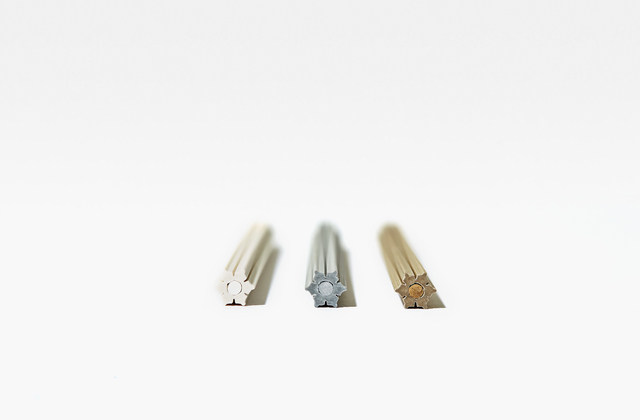 As you write with a Snow Pencil, it decorates the page with distinctive, demure shades of white, gold or silver. 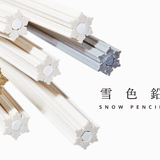 Snow Pencils have a cross-sectional shape which represents the delicate crystalline symmetry of a snowflake. 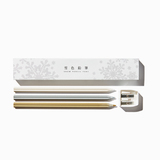 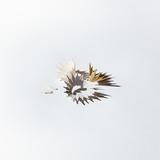 The choice of white, silver and gold for the three colors of Snow Pencil expresses the icy shimmer of a snowflake with leads that contain glitter. 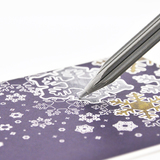 Because the shape and colors of a Snow Pencil have been carefully designed to evoke snowflakes, the delicate shavings that twirl down as it is sharpened suggest a flurry of falling snow. 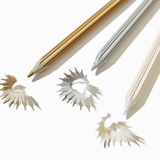 * Can be sharpened using generic pencil sharpeners; please use a sharpener designed for pencils with large leads. 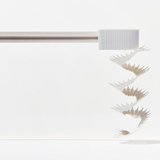 * To create a continuous shaving, use as little pressure as possible when sharpening. 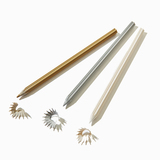 Production of ordinary pencils results in a great deal of waste wood. 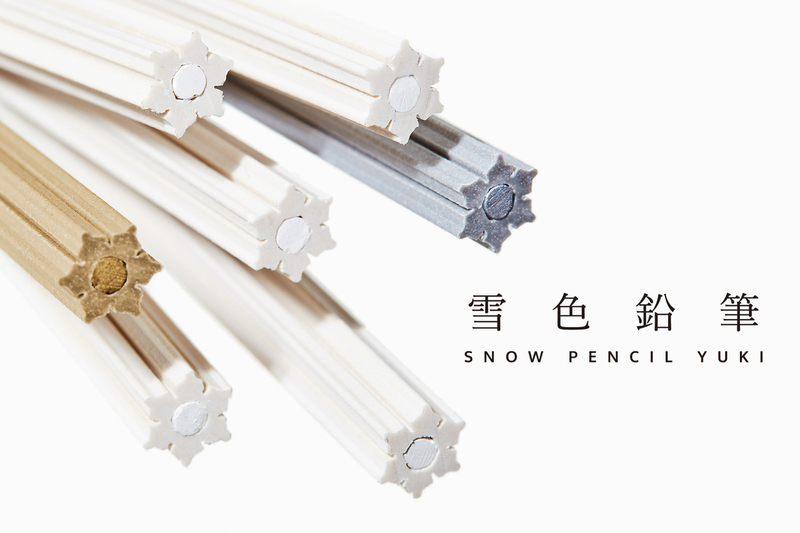 Snow Pencils use recycled paper instead of wood. Not only is the material recycled, it can be molded into any shape, much like plastic, with no waste. 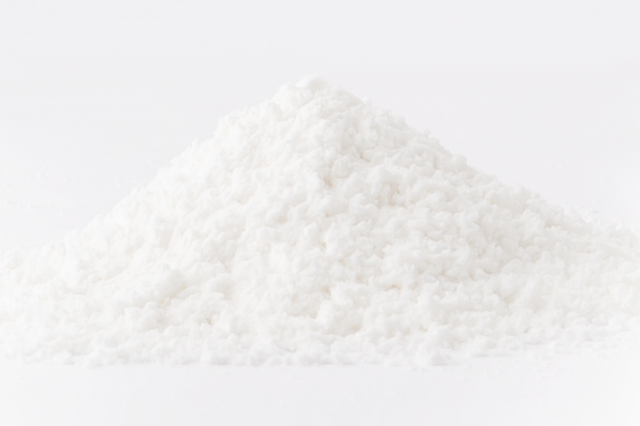 And the shavings, being made from paper, can be disposed of just like paper; for example, as rubbish suitable for incineration. 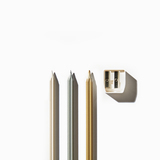 A set of three Snow Pencils in white, silver and gold along with a sharpener sized for large leads is 1,200 yen before tax. 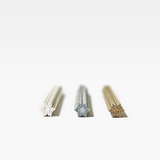 Through the clear end of the attractive, gift-quality packaging adorned in a snowflake motif, the pencils' snowflake cross-sections are easily visible. 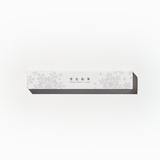 Snow Pencils make an enchanting and elegant gift. 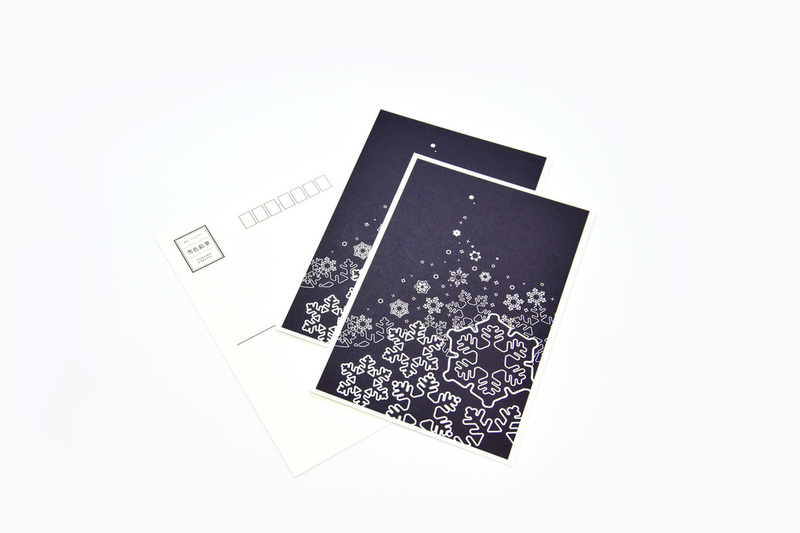 Also available are postcards suitable for coloring-in with the three Snow Pencil colors. 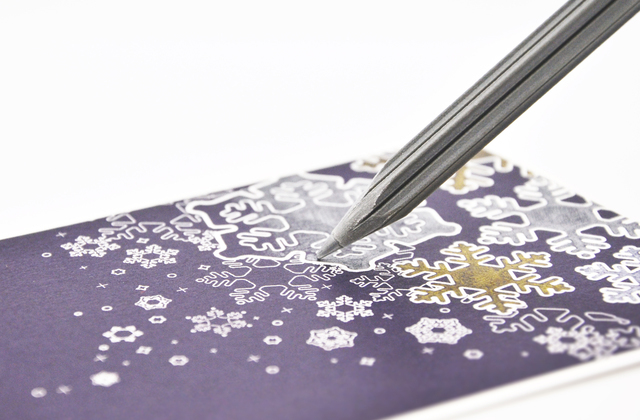 The snowflake design is perfect for coloring and the white, silver and gold colors ensure the results will have visual pop! 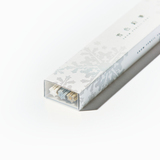 Why not treat your friends and family to a hand-colored card accompanying your gift of Snow Pencils?